This Sign Supply is an Excellent Advertiser! Ready to Ship Sign Supply In Stock Now! By Sign Making Supplies for Your Company Today! 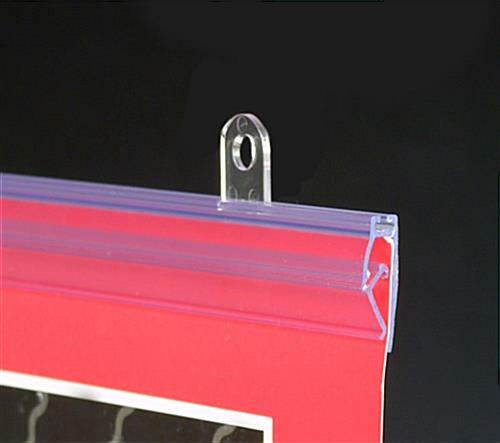 This sign supply is the perfect choice when you want a plastic banner frame. 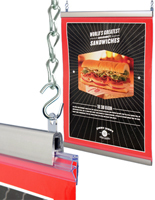 The durable plastic sign supply is an easy to use display that is perfect for hanging posters from the ceiling. 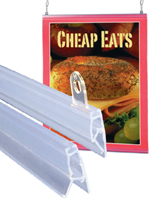 This affordable sign supply in bulk is an excellent marketing display that is ideal for every business. As this sign supply affixes to the ceiling, valuable wall space is kept open for more permanent displays. 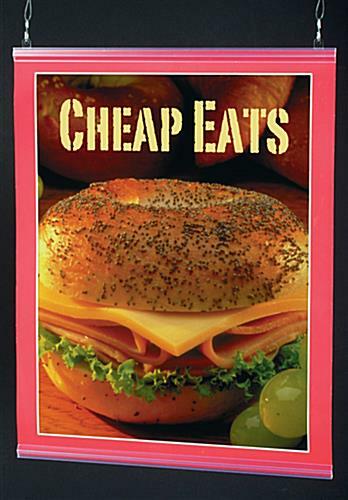 Often seen in clothing and department stores, this sign supply is also popular in grocery stores and restaurants. This affordable sign supply for sale online is the perfect advertising tool when banners and posters are to be displayed. 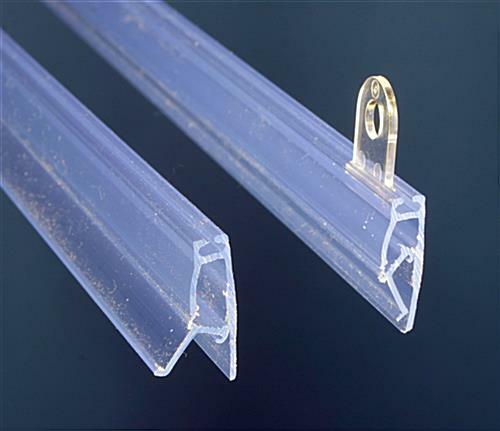 Top Rail with two (2) eyelet clips. 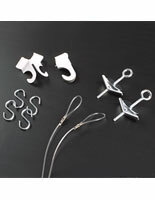 The clips are movable and slide to where they are needed for ease of hanging. This sign supply is ideal for temporary signage but may be used for permanent displays too!